Click here to read the previous entry in this blog series: Able-Bodied. 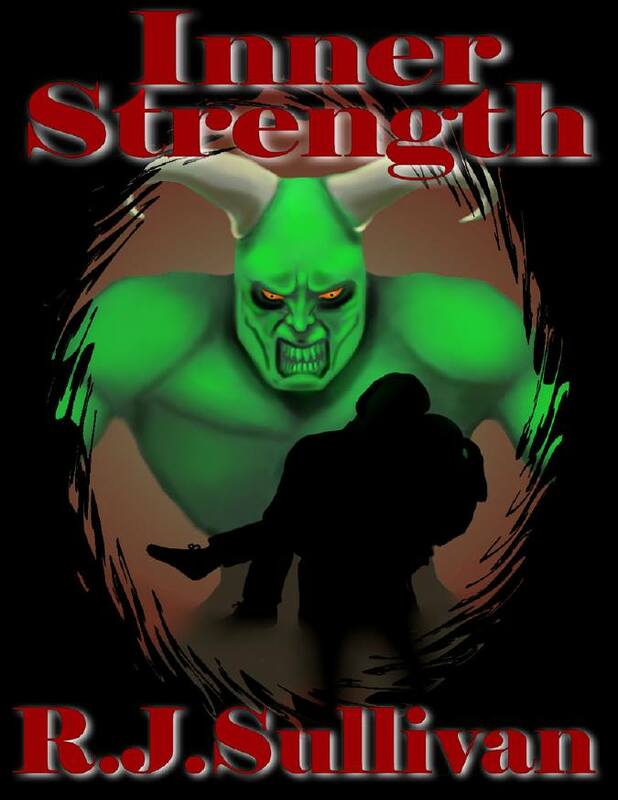 Inner Strength (subtitled for this collection “A Rebecca Burton Short Story” referencing the recurring character of my paranormal thriller series) was the second story written for Strange, Weird and Wonderful magazine. Whereas the first time, Able Bodied was selected from a slush pile, this time D.L. Russell invited me to write an original story for an issue in which I would be featured. Being a naturally humble person, I took him up on his invitation immediately. This is also the only story where I recorded an audio version of me reading the entire thing. I have no idea where that file is now, and thinking back, I’m fine with it being lost forever. Few things are more awkward than trying to read a bedroom scene that you wrote yourself. Now you know. 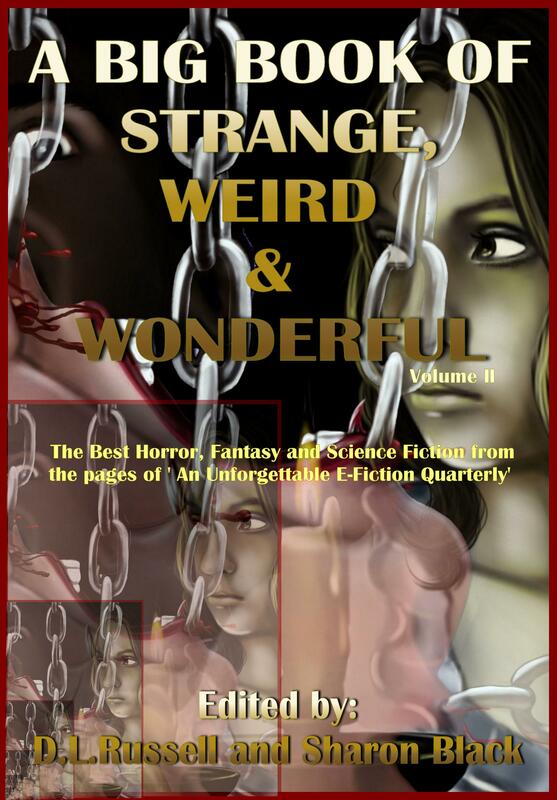 The story was later reprinted in the magazine’s Best of collection A Big Book of Strange, Weird and Wonderful, Volume II. I am very proud to have been a part of that magazine’s short history and lament its passing. Fortunately, D.L. continues his efforts as the editor in chief of Black Books Publishing and as a brilliant author in his own right. I look forward to seeing what’s next for him. Setup: This scene is the second one in the story. Todd Burton had his daughter “Becky” Burton for Halloween overnight as part of his visitation arrangement, and it’s the next morning. (During the first scene, Becky dances to a Fiddle Dee-Dee song and that’s not the last time you’ll hear about Dee n this series) He must now drop her off at his ex wife’s house, and as he does so, he is wallowing on his failed marriage and current circumstances. Todd Burton maneuvered the van down the narrow side streets of their neighborhood. Her neighborhood. He had not so much as stepped up to the front door in eleven months, but he still often thought of it as their home. If this was still our home, I wouldn’t be dropping Rebecca off in front of the house and heading on to run errands on my own. I’d gather everyone up and we’d head off to a movie, just the three of us. He shook his head, clearing the melancholy. He spent little enough precious time with his daughter, and he hated when runaway thoughts dampened that time. He adjusted the reflector attached to the rearview mirror, allowing him to look all the way to the back of the van. Rebecca no longer sat in the middle row of seats. Since the separation, she preferred to go all the way to the back of the van, the couch-like seat at the rear, and stretch along its entirety, eyes locked on her video screen. Rebecca caught his gaze upon her and smiled. She wiggled her fingers lazily at him and returned her attention to the game in progress. At least she seems happy. He pulled up, parallel to the curb, and stared across the lawn to the modern suburban home. Two stories, three bedrooms, plus a loft, the perfect home in which to grow a family. Todd sighed. He just wished he knew what he could do to change things. He heard the words, heard the excuses, watched the love of his life shake her head and shrug. “I just don’t love you anymore.” How does that even happen? He always figured there was someone else, though he never saw any indication, and Rebecca never revealed anything about a new “Daddy” in her life. But the alternative—that their life together was a lie from the start—was too devastating to face. Todd released a deep breath, swung open the driver’s side door, and stepped onto the street. His gaze traveled across the front porch, over the driveway. The gray Ford Taurus sat peacefully in the two-car driveway, the usual oil stains spotting up the pavement of the space next to it, without so much as a telltale drop of fluid or tire track to indicate the comings and goings of someone new. Eyes still on the house, he stopped in front of the passenger door and popped it open. He thought perhaps the blinds behind the windows shook just a bit, indicating someone inside had noticed their arrival. He braced himself to hear the familiar voice of his soon-to-be-ex wife offer some sort of awkward greeting from the porch. Todd flashed back to another time, long ago, when Olivia normally drove the “Errand Runner,” a name Todd had affectionately dubbed the reconditioned green van during one of his geekier moments. Settling into the passenger seat, Todd channeled his best Harrison Ford voice. “Firing up the sublight engines on the Errand Runner, honey.” Olivia would roll her eyes and shake her head, inserting the key and waking up the grumpy engine, but she always flashed him an affectionate smile that warmed his heart. The same smile that made him fall in love with her in the first place. He knocked insistently against the solid steel siding, knowing the noise would penetrate her concentration, even through headphones. He listened for any answer. “Hey, string bean, save and quit, girl! Now.” Though relatively roomy, Todd hated struggling his 6’2” and 240 lbs of bulk around the middle row to the back of the van. Maybe she just didn’t hear me? Did she fall asleep? Maybe she found it a bit too comfortable today. Todd placed a foot onto the first step and shoved his head into the compartment for an un-obscured view to the back. Instead of the back seat, he saw a fantastic, unreal image—and froze. Hovering in mid-air was a large, gaping “maw” of a portal, surrounded by a border of green glowing energy. The wavering oval gaped open about four feet high and perhaps two feet wide, encompassing what looked like the mouth of a cave, lit from within. 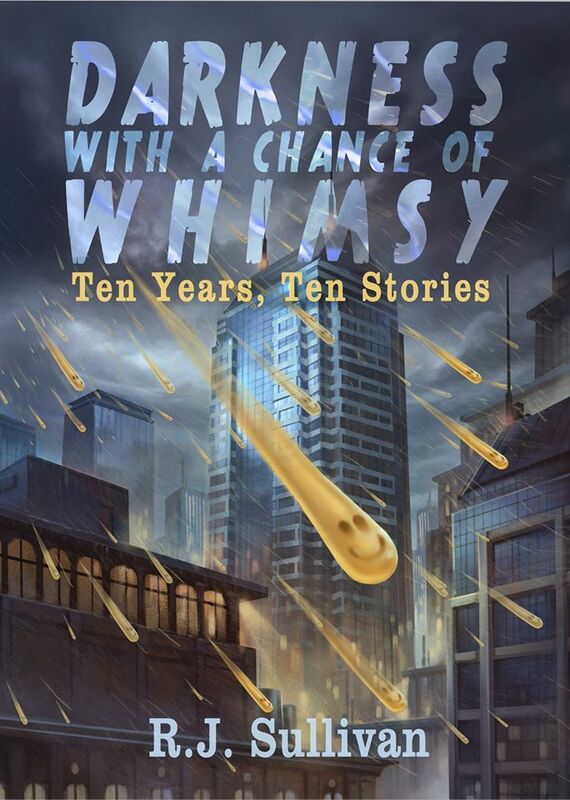 Click here to go to the Darkness with a Chance of Whimsy order page. This entry was posted in Uncategorized and tagged author promotion, authors, blog series, Book Promotion, books, collection, D.L. Russell, demons, domestic, excerpt, Haunting Obsession, Horror authors, Indiana, Indiana authors, magic, monsters, new books, new ebooks, new reads, previews, R.J. Sullivan, Rebecca Burton, series, seventh star press, Strange Weird and Wonderful, Virtual Blue. Bookmark the permalink.